Our resource page includes an exhaustive list of fables, lesson plans, art, history and puppets. All of the resources are external websites. Don't forget to come back. Sources to fables are many and translations differ for the same fable in these different sources. In an attempt to make some sense of this Ben Edwin Perry published a survey of Greek and Latin fables in the Aesopic tradition in his Aesopica, published in 1952. That survey was published in Latin and Greek to be consistent with the original fable collections but an English version of the index to the survey was published as an appendix to the Loeb Classical Library Babrius and Phaedrus Fables which was translated and edited by Perry. The index numbers found listed below and throughout this site are consistent with the Perry survey. 8 reproducible fables adapted for the classroom, plus 27 more fables with instructions. Strategies for implementing principles of good acting: believing, control, and voice and movementCritical-thinking activities. Scholastic teaching With Aesop's Fables grades 1-3. This site location has Aesop's Fables for lesson plans, reading, activities and fun. Pre-kindergarden, 1st and 2nd grade. Aesop was by tradition a Greek slave, and he is known today exclusively for the genre of fables ascribed to him. 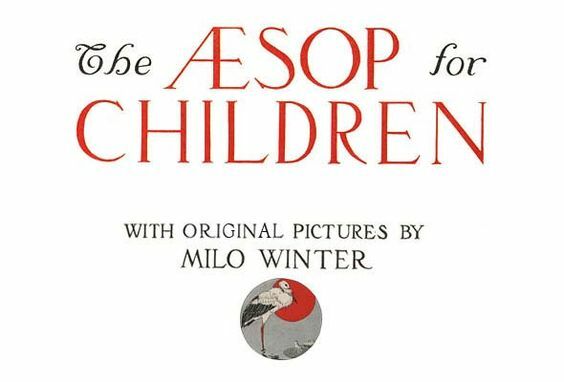 “Aesop's Fables” (most of which have anthropomorphic animals as the main characters) have remained popular throughout history, and are still taught as moral lessons and used as subjects for various entertainments, especially children's plays and cartoons. No author of Greek antiquity has been more read, translated, adapted, embellished, printed, and illustrated than Aesop. Who was he? Did he even exist? Aesopology has no relationship with the resources shown above. Any and All disputes or grievances with the resource must be resolved through that organisation.